Want to know what’s hot this season? 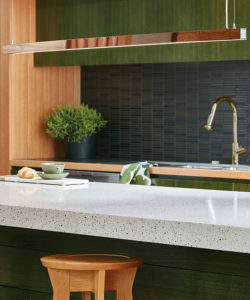 Check out Kitchen Connection’s key ingredients for an on-trend kitchen and create a stylish space you’ll love year after year. Industrial style is continuing to be a popular choice for home owners and renovators in 2017. Many people are choosing to opt for rustic finishes and minimalist design, pairing exposed brick, pipes, and metals, with materials such as wood, stone and concrete, for a look that combines form and function. 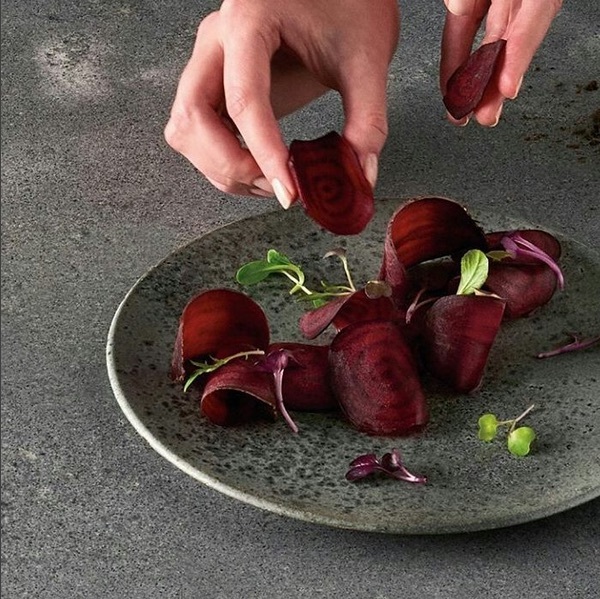 If Industrial chick is what you are after, you’ll love Caesarstone’s latest design, Rugged Concrete (see below). 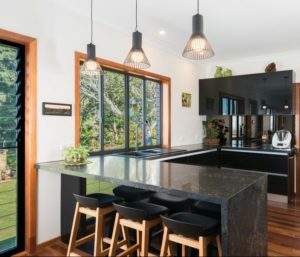 A move towards grey, black and white tones this season is the key to achieving an on-trend kitchen. Try working these colours into your cabinets, worktops and appliances, or incorporate subtle hues throughout splashbacks and lighting fixtures, for a seamlessly designed space with just a touch of glamour. Leafy greens and indoor plants are a great way to bring the outside in, and add a pop of colour to brighten neutral colour schemes. These earthy tones will complement the monochrome looks of this season, and breathe new life into tired kitchen corners. Good storage is something that never goes out of style. This season we are loving integrated storage systems which provide a functional and stylish solution for kitchen clutter. 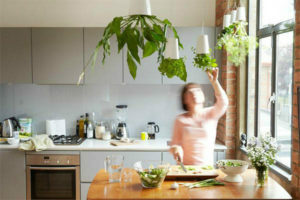 Consider design options that integrate appliances and workspaces for added space saving storage. Mix up your neutral kitchen colour palette with royal accents of rose gold, copper or even smoked glass. 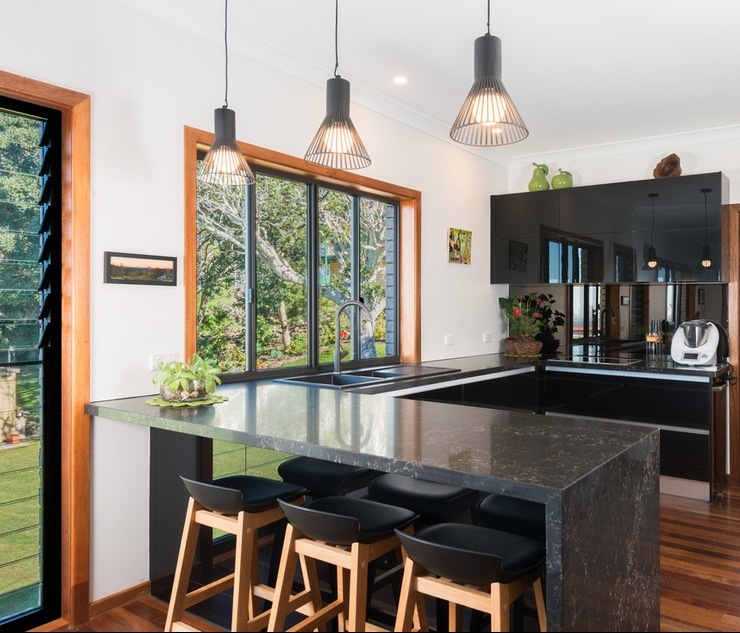 This trend sees many renovators and home owners turning away from the traditional stainless-steel option, opting for copper handles, lighting, accessories, and appliances to take their kitchen to the next level.